href="https://giphy.com/gifs/the-amazing-spider-man-c1zfloqPLVvdm" target="_blank" rel="noopener noreferrer">web hand” moment was kind of dumb, though. Her death appeared to be permanent by the end of the movie, acting as another painful reminder to Peter that being a hero comes at a high cost. However, it appears a big part of The Amazing Spider-Man 3 involved Peter discovering a formula that could bring people back to life, so he uses it bring Gwen back. This change would have – somehow – given Gwen spider powers too, leading to her becoming Spider-Woman, who in the comics is an alternate universe version of Gwen. 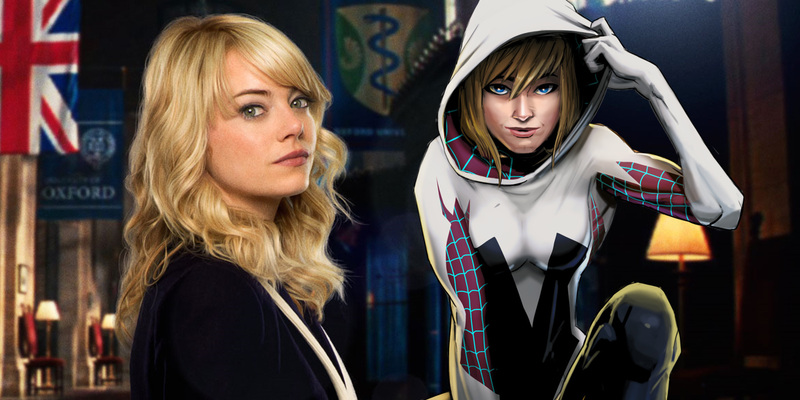 Sony had plans for a solo movie with an unnamed female hero around this time, so it’s not hard to conclude that perhaps Spider-Gwen was being set up for her own adventure.